Giorgio De Angelis of De Angelis Elaborazioni is the man who built this incredible BMW K1100 cafe racer, which easily made our list of last year’s best cafe racers. 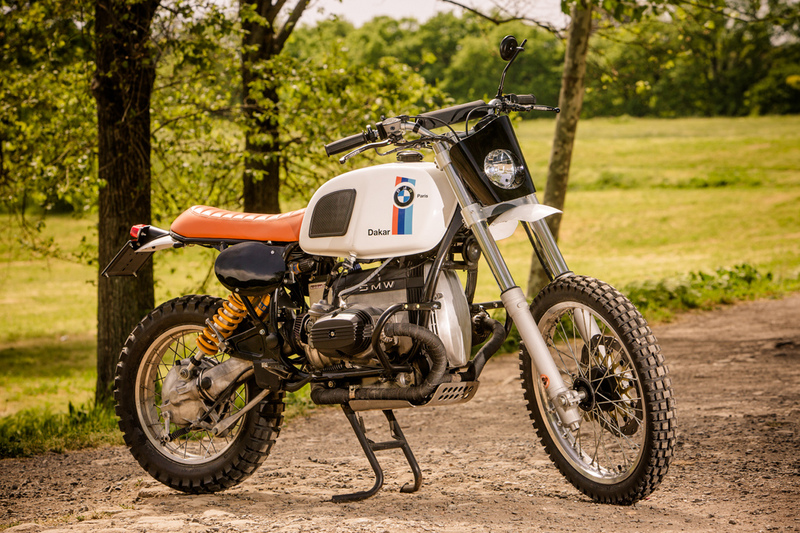 Now Giorgio is back with another burly Bavarian, and this one is built for the dirt roads instead of tarmac: a 1994 BMW R80G/S scrambler. 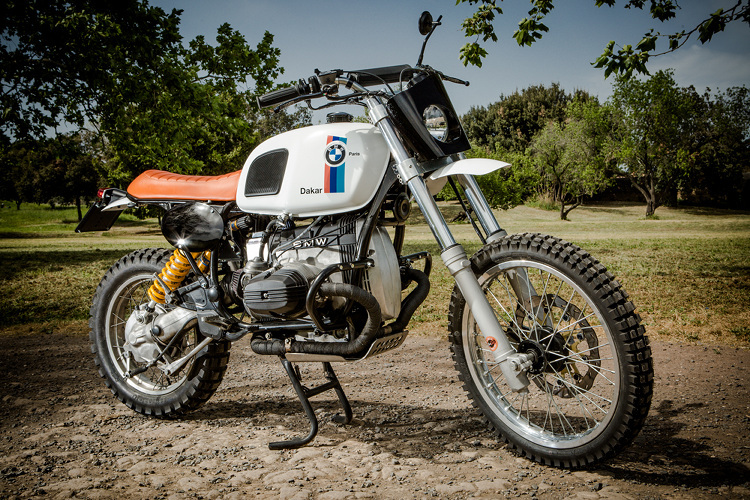 Unlike many scrambler builds, the BMW GS has true off-road potential. The G/S designation stands for Gelände/Strasse in German, meaning “offroad/street” — and the R80GS was the first of the BMW GS dual-sport family. 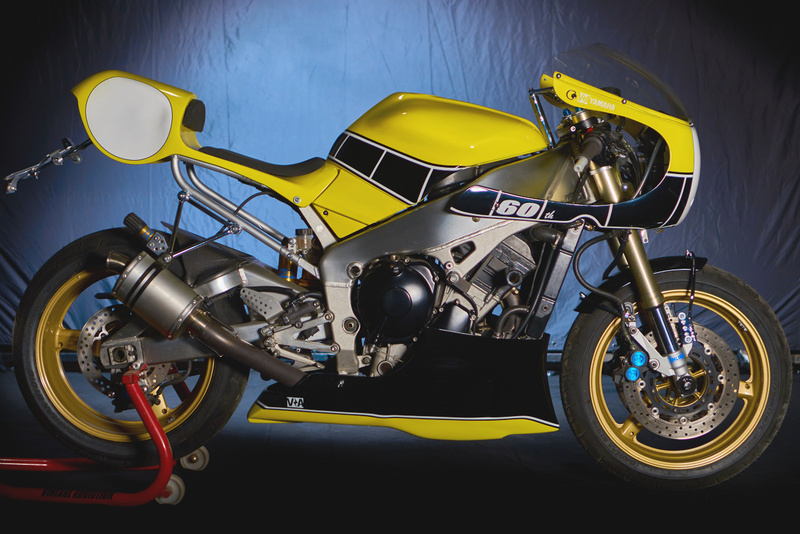 The airhead flat-twin produced 50 horsepower, and the bike proved its mettle by winning multiple Paris-Dakar rallies throughout the 80s, while Ed Culberson’s R80GS “Amigo” became the first motorbike to cross the Pan-American Highway completely by land. 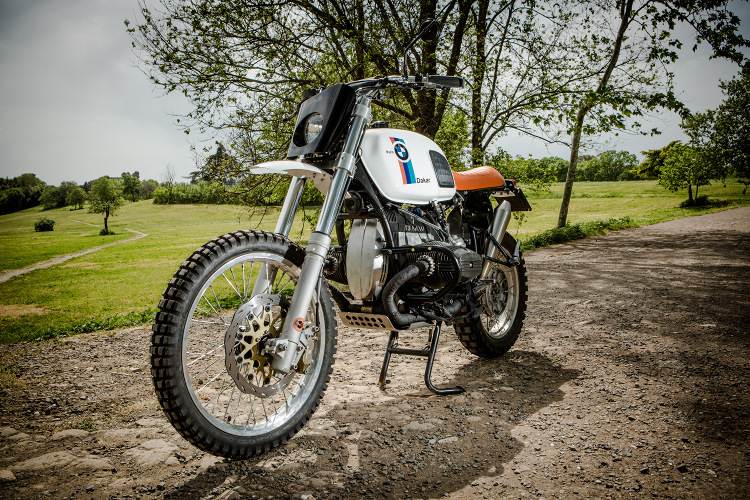 The R80GS was the first of what would become one of the most popular and battle-tested adventure bike platforms in the world. 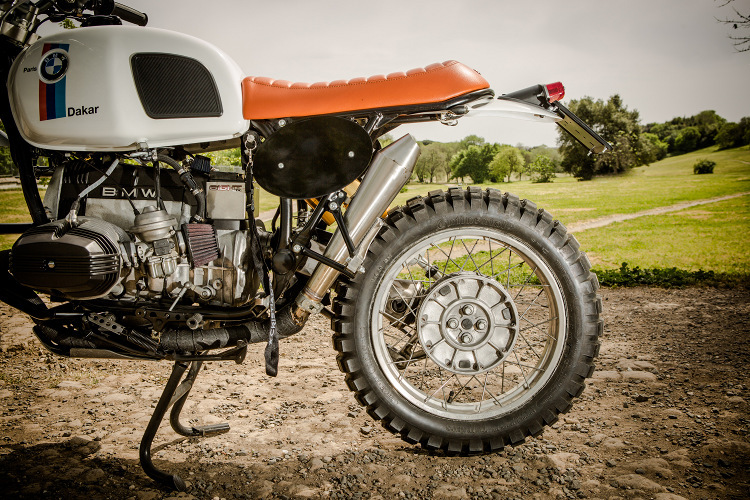 Giorgio decided to pay homage to the bike’s Paris-Dakar history with this build. Below, he gives us the full story on the build. BMW R80 GS year 1994, processed to make it super light but at the same time very powerful. I replaced the entire front end with Marzocchi forks of 55mm and number plate made of machined aluminum alloy. 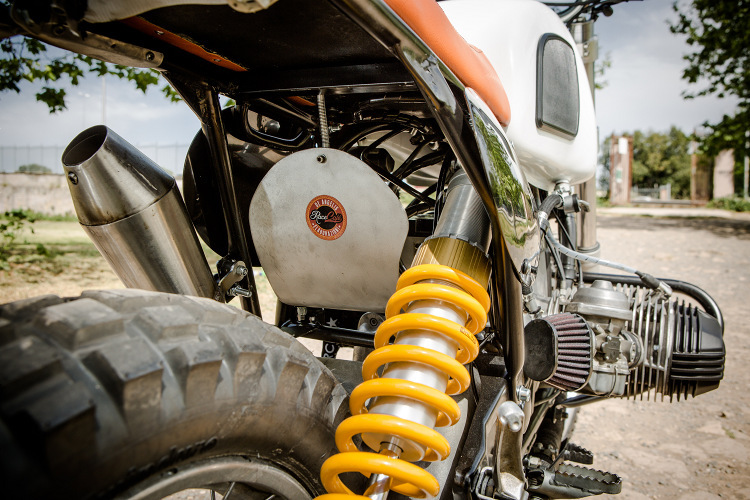 The old rear suspension has been replaced with a beautiful Ohlins with preloads. The handlebar with all controls have been replaced and fitted with Accossato Racing models. 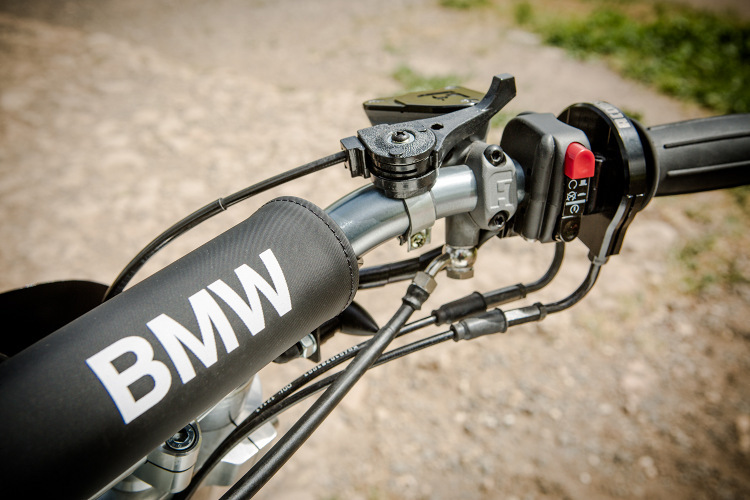 The rear cradle was built entirely to make it super lightweight and shorten the length of the bike frame. The seat has been redone with the classic Orange Paris Dakar. 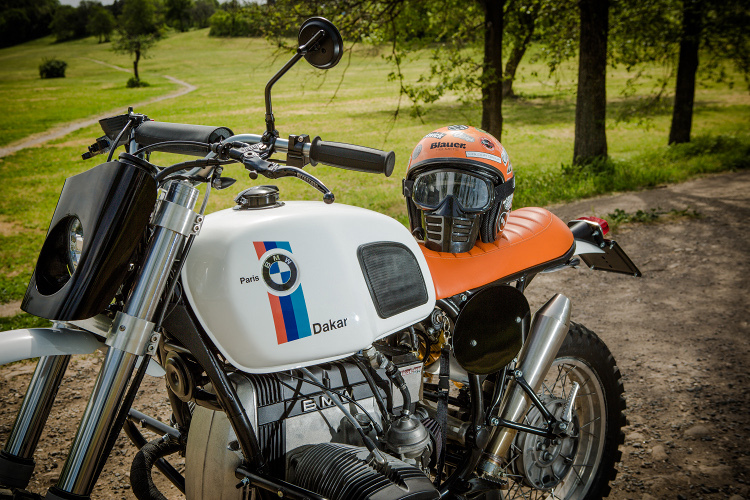 The tank has been replaced with that of a BMW R100 and painted with colors Paris Dakar. But headlight mask was created in iron and cut laser. In the old engine it was equipped with a complete terminal by collectors without plugs and carburetors mounted on K & N filter. The bike became very light and also very powerful despite his years. 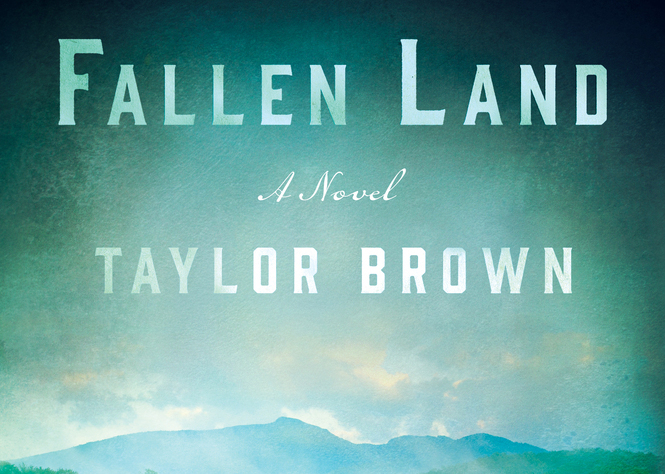 Fallen Land Released in Paperback! How beautiful and bright ! !